September 2015 saw the release of a major study focused on the transition to Open Access (OA) in the United Kingdom. Working with colleagues from the Research Information Network, the University of Sheffield and Elsevier, our aim was to gather authoritative indicators of key factors influencing the transition to OA in the UK and globally. Factors considered included the availability of OA options, their take-up by authors, usage of OA material and the financial implications for research organization and learned societies. The findings are likely to be of interest to a wide range of stakeholders including publishers, research funders, academic institutions and learned societies, all of whom were represented on the project’s steering group. Our work found that fully two-thirds of the world’s journals now offer an OA option, with by far the largest proportion following the hybrid model. Meanwhile, subscription-only journals fell between 2012 and 2014, both in numbers and as a proportion of all journals, with the fall particularly marked among those in which UK authors publish. This drop can be attributed to growing pressure from research funders who want publishers to adapt their business models to meet new OA reporting requirements. Therefore, we are likely to see a situation where the vast majority of authors will have the option to make their articles immediately OA on publication. In practice, the limited availability of funding combined with the slow pace of change within the research community means that take-up of OA options falls a long way short of its potential. We also found high levels of duplication of access via immediate OA (gold) and posted (green) routes. As a result, past studies which combined data on articles published as gold and green were liable to over-estimate the proportion of articles that are in fact openly available. Nevertheless, take-up of immediate OA options has grown steadily from 14% of total articles in 2012 to 17% in 2014. When posting of manuscripts (‘green OA’) in accordance with publisher policies is also taken into account, 25% of the world’s scholarly articles are now openly available within 12 months of publishing and 27% within 24 months. Add in illicit postings (such as versions of record placed on social-sharing sites contrary to the policies of the relevant journals) and the proportion of OA content available after 24 months is still higher, at 34% globally and 43% in the United Kingdom. Funders and policy makers are setting increasingly ambitious goals for opening up the results of publicly-funded research. In the US, the true impact of federal funders’ public access mandates will become clearer in 2016 as they move from an implementation phase into operational reality. The European Commission has set a goal for 60% of European publicly-funded research articles to be available under OA by 2016, with national governments in the UK, France, Sweden, and Denmark all targeting 100% OA no later than 2025. Achieving these targets will require the adoption of increasingly stringent monitoring processes. At the same time we will see a progressive shift away from advocacy and communications efforts towards sanctions against authors and institutions who fail to comply. Making articles OA at scale relies on an open, inter-connected infrastructure which is built on sustainable principles and standards. Funders, policy makers and institutions are all taking a growing interest in the development and ownership of the infrastructure that supports scholarly communications. The central role of publishers and vendors in supporting scholarly communications will therefore come under increasing scrutiny. In response they will need to become ever more integrated with and embedded in the broader information landscape, capitalizing on the potential offered by application program interfaces (APIs) and emerging standards. Data released by UK funders such as Research Councils UK and the Wellcome Trust indicate that article processing charges (APCs) are stabilizing around an average of $2,500 across all disciplines, and $3,000 in the medical and life sciences. There remains variation between publishers, but there has been little or no growth in average APC prices over the last couple of years. 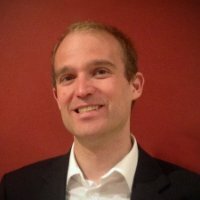 With the European Commission recently announcing an APC cap of 2,000 Euros (c. $2,200) in a new post-grant OA pilot, funders are clearly signaling their desire to maintain prices at or below current levels for APCs, and well below the economic value of most articles in subscription journals. As a result, we can expect to see publishers seeking innovative ways to drive revenue growth whilst minimizing administrative costs, including offering more products and services to authors such as reprints and language polishing within the workflow. Growth in offsetting arrangements, memberships and deposit deals, mostly experimental at this stage, will require sophisticated tools and robust processes from both institutions and publishers. The aim should be to present a seamless experience which simplifies the complexity from the perspective of the author, and allows institutions to manage APCs and subscriptions together. We can also expect to see more radical initiatives along the lines of Thieme’s ‘pay-what-you-want’ OA journal and Emerald Publishing Group’s Green OA, Zero Embargo trial. A relatively flat overall market, in addition to downward pressure on APCs, means we are likely to see more publishers seeking economies of scale in order to reduce their cost per article. While another deal like the one which created Springer Nature looks unlikely, further consolidation in the market seems inevitable, with the acquisition of Maney Publishing by Taylor & Francis a recent example. This will present further challenges for small and society publishers, many of which jealously guard their independence, but who could face an uphill struggle to maintain their market position. Our study found that UK learned societies currently generate revenues of over £300m (c. $500m) from publishing, and many are critically dependent on their publishing surpluses to support their charitable activities. Societies typically offer highly-selective journals, and so are concerned about the poor economics of gold OA, and the potential for green OA to put pressure on their subscription, reprint and rights models. In response, the outsourcing of activities to third-party vendors could become an increasingly popular defensive strategy, allowing smaller publishers to offer a comparable author experience to the big players, without breaking the bank. There is growing recognition of the need for pragmatic solutions to support delivery of OA at scale, requiring different stakeholders to work together. In particular, research funders and policy makers will need to work more closely with the publishing community to drive forward the OA agenda. Science Europe, which comprises 50 major public research organizations in Europe, issued a set of principles earlier this year aimed at setting minimum standards for OA publishing services provided by scholarly publishers. For their part, publishers are already responding to US funder requirements for greater accountability and transparency through initiatives such as CHORUS. Going forward, publishers are likely to push for greater alignment of funder policies, potentially in machine-readable form, and a more evidence-based approach to OA policy-making, particularly in relation to embargo periods.